To create a receipt, you have to add products first. Select your products. They will be automatically added. 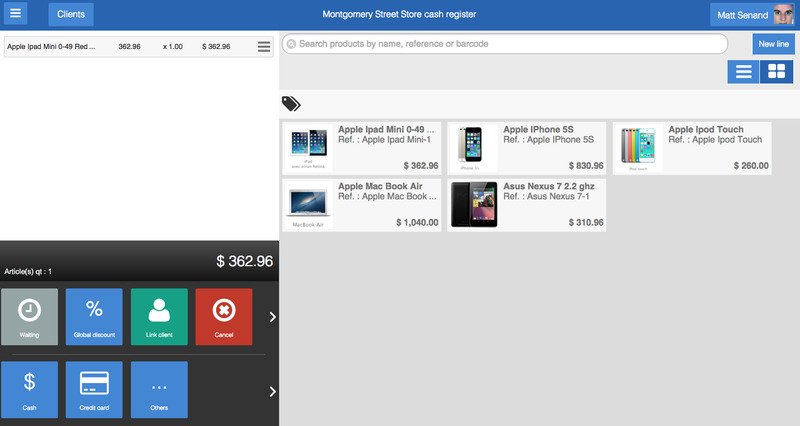 A preview of the receipt can be seen on the left of the screen. You can enter the payment. You will need to go through the following payment steps, which are consistent for almost all payment methods. In this case, full payment of the ticket is implied. The ticket is registered and printed directly. Note: If you save several bank cards for the same ticket, use the Others option. 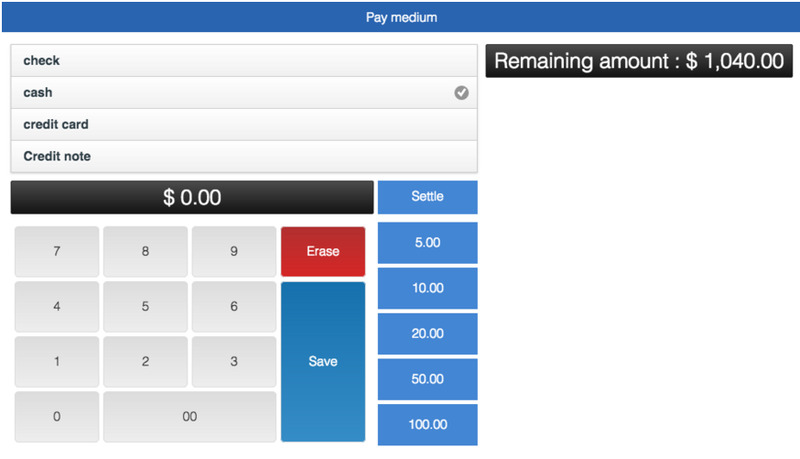 This window allows you to record cash received and remaining, and also automatically calculates total amounts. Note: You can register a partial settlement in cash and settle the ticket with another method of payment (credit card, check, etc.). Sellsy's cash register will let you use any payment method defined in your Sellsy account (you can choose to hide some means of payment in the preferences of your cash register). If you want to add a specific payment method, simply add it to your account Sellsy (Settings > Catalog > Payments).